A gentle concentrated cleansing cream that fully dissolves makeup, removes impurities without drying skin, restores suppleness and softness. This daily cleanser gently leaves skin not only feeling smoother but looking brighter. Manuka Honey is a natural antioxidant that helps retain skin’s moisture while promoting skin regeneration. It helps to protect the skin while hydrating, leaving behind a dewy, glowing complexion. Massage gently over face and neck using upward and outward strokes. Remove with a damp cloth. Use twice daily. Paraben & Sulfate Free. Not tested on animals. An organic jojoba oil based serum that is a great hydrator. Nurtures skin to help preserve youthful glow with its anti aging properties and luxurious aroma of pure Rose Damascena oil. This luxurious serum contains exotic organic oils to soften, hydrate and protect the skin with moisture. Leaves the skin softer & refreshed for younger better looking skin. 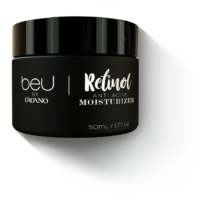 Apply on cleansed skin before your Retinol moisturizer. Use 2–3 drops and smooth in gently over face and neck. Allow to absorb. Use morning and night. A natural alternative to harsh anti aging treatments. 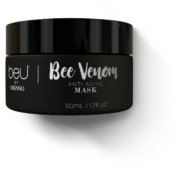 Bee Venom Mask helps stimulate the production of collagen and elastin in your skin and helps to minimize the appearance of fine lines and wrinkles. It improves the appearance and texture of skin with superior anti aging ingredients. Bee Venom naturally contains a potent combination of enzymes, peptides and amino acids that work on all levels of the skin to encourage naturally occurring cell regeneration and boost collagen formation. Bee Venom is produced by the worker and queen honey bees, harvested in a way that doesn’t harm the bees. Once the venom is collected, the bees return to their hives, unharmed. Apply a smooth layer over your face and neck, leaving on for 20 minutes or overnight. Remove with a damp cloth. Use 2–3 times a week. A pH balanced cream with active ingredients and oils that works all day long to visibly help diminish the appearance of wrinkles and fine lines. Retinol, a pure form of Vitamin A, helps to boost the skin’s own ability to produce collagen while helping smooth and soften skin. Apply to face and neck after cleansing. Allow to absorb before applying makeup. Use twice daily. beU is your 3 step skincare solution that provides you with everything you need to keep your skin healthy and glowing. From removing your makeup and excess dirt, cleansing is a first crucial step in any skin care routine. Next we want to restore back all the good stuff by hydrating the skin with antioxidants and collagen supporting ingredients. With an oil based serum you can hydrate your skin and a mask used regularly can help support collagen and elastin production – essential to getting that glow! The third step is all about bringing moisture back to skin by balancing pH levels while helping to reduce the appearance of fine lines and wrinkles with ingredients like Retinol. 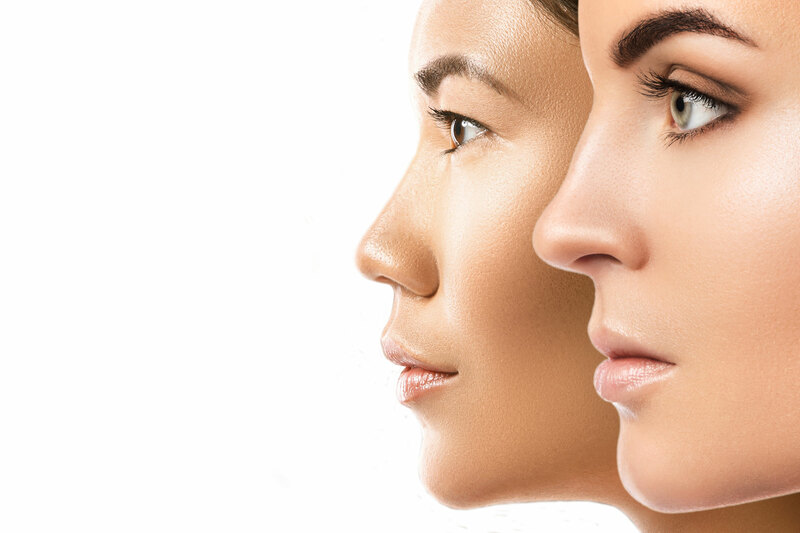 Combined, all 3 steps will keep your skin healthy and more importantly, youthful!